What can I say. Miracle Max from the Princess Bride. He was played by Billy Crystal. 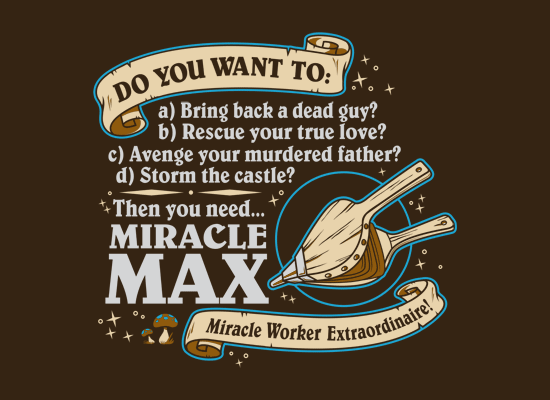 Miracle Max was a medieval medicine man (how’s that for some alliteration?) with a good Jewish/Queens accent. This is one of the funniest movies from the eighties and this scene is awesome. I actually helped film a reenactment of this very scene, 10 years ago. If I can find that old footage in my archives, I will post it here. For now, here is a Billy Crystal discussing his character, Miracle Max. I have always loved him. When Harry met Sally, City Slickers, Monster’s Inc., Analyze This, Analyze That. 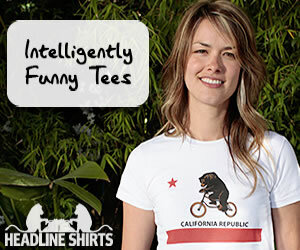 Previous post: Always Be Yourself Unless You can Be Batman – On sale this week, $14.95!